The second book in the Patriots Series, by David Thomas Roberts, be prepared to stay on the edge of your seat as the saga continues. A U.S. President with outward contempt for the Founding Fathers and the limits of the U.S. Constitution whose administration is rocked by scandals. 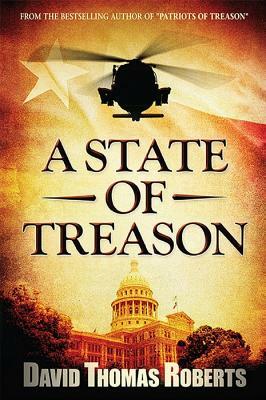 The Governor of Texas, the self-described mortal enemy of the President, directs a legendary Texas Ranger, PopsYounger, to rescue a Tea Party organizer from the clutches of federal agents. The resulting struggle sets the stage for a cataclysmic power struggle between officials in Austin, Texas and Washington, D.C., further polarizing the nation and resulting in the arrest warrants of duly elected state officials. The rest of the country and the world watches in awe and despair as the ''Texas Crisis'' unfolds, affecting world financial markets amid skyrocketing fuel prices. The Texas legislature sends the vote to the people of Texas and the President orders the vote stopped as he suspends the 2nd Amendment and declares martial law. Texas is now in A STATE OF TREASON. Every freedom loving American should read this book.